Recent visit of American president Donald Trump in Warsaw brought the virtually unknown Three Seas Initiative led by Poland and Croatia into the spotlight. Time will show if declared US support will be able to boost the regional economic project into a geopolitical platform, reshaping power relations in Europe. For now, the TSI is not much more than a vague but promising idea with extensive economic potential but also few inherent political fault lines. 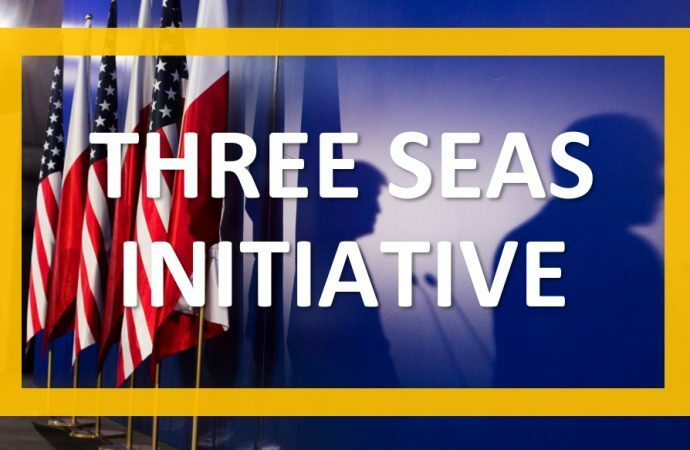 The Three Seas Initiative is supposed to connect the Adriatic, Black and Baltic seas via energy and transportation infrastructure and closer economic cooperation (involvement of Austria, Bulgaria, Croatia, Czech Republic, Estonia, Hungary, Latvia, Lithuania, Poland, Romania, Slovakia and Slovenia deserves closer assessment). The Central Eastern Europe region still lacks necessary north-south infrastructure enabling deeper economic ties, and more importantly, diversification of existing prevalently west – east network of pipelines, highways, railways etc. As a flagship project, the plan for a superhighway Via Carpatia connecting Lithuanian port Klaipeda with Thessaloniki, Greece deserves closer attention. While basically nonexistent transportation infrastructure in the region is a pressing issue, the crucial problem lies elsewhere. Almost all participating countries are heavily dependent on Russian natural gas and oil. Therefore, the most important vector of the TSI is the creation of a regional energy network based on diverse energy sources independent of Kremlin’s goodwill. Poland has already opened its LNG terminal in Swinoujscie and is now talking about doubling facilities’ capacity. Croatia is planning to open its terminal in Krk in 2019. To use both Polish and Croatian terminals to the full capacity and not only for domestic consumption, distribution pipelines need to be built. Realization of all these plans will not be possible without big capital flowing in. Crucial question therefore is who is able and willing to cash out the Three Seas Initiative. One cannot reasonably consider Russia. Even if Kremlin had the resources required, it would invest into its own major energy project towards Europe for the coming years – the Nord Stream II. It is also worth mentioning that the TSI in some aspects resembles Polish interwar geopolitical project Intermarium, which was deliberately designed as a Poland-led union of central and eastern European countries to thwart Russian and German influence in the region. 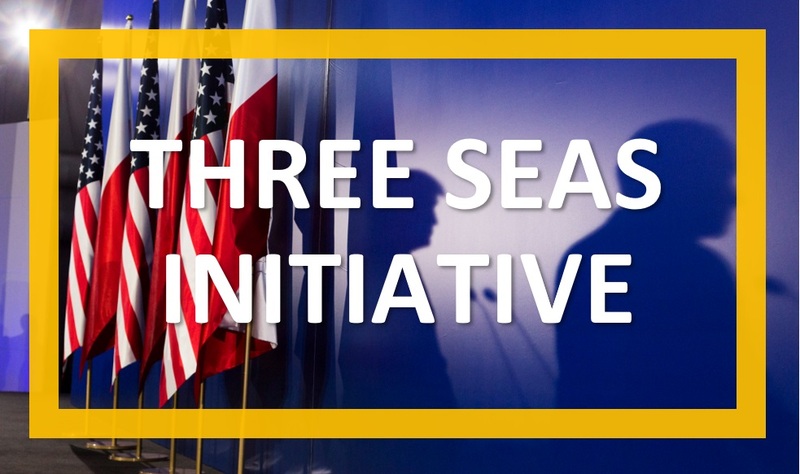 While Polish president Andrzej Duda has repeatedly declared that the TSI is completely under the EU framework, seeking to enforce the single market in the so called “new” Europe, one can find very little enthusiasm for the project coming from EU representatives. Also, fulfillment of TSI energy projects will bring about an end for German plans to become the European energy hub. 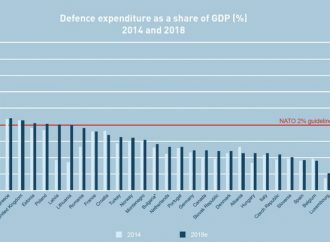 Considering the ongoing stand-off between Warsaw and Brussels, it is reasonable to except that there will be no substantial support for TSI anytime soon from the EU. On the other hand, this is something what Polish foreign policy already reflects through its strong orientation towards Washington. US under the new administration seem to be looking for a counterweight to German and French supremacy over the EU. 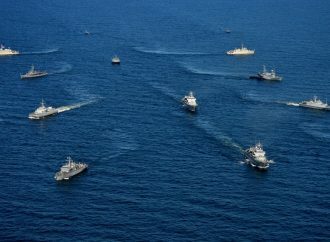 With American LNG flowing to Poland following the armaments contract with Warsaw there is a certain possibility that United States will adopt the role of a patron of the Three Seas Initiative. Such development could also find support in Romania and Croatia but hardly in the rest of involved countries. Austria, Czech Republic or Slovakia have no reason to participate in a project which can harm their relations with Germany. There are already signals that some parties are not happy with the politicization of the project. Last but not final option for sponsoring TSI is China. Beijing is already pursuing several development and infrastructure building initiatives across the globe with Europe being no exception. Generally, it is difficult to find many reasons why China should not be interested in the Initiative. However, heavy Chinese involvement in top tiers can be met with strong disapproval in both Washington and Brussels. Less visible indirect involvement in country-level projects could be an acceptable compromise for all parties. Article was originally published as a part of STRATPOL ViewPoints.